Hot hot for a couple of days. Ugh. 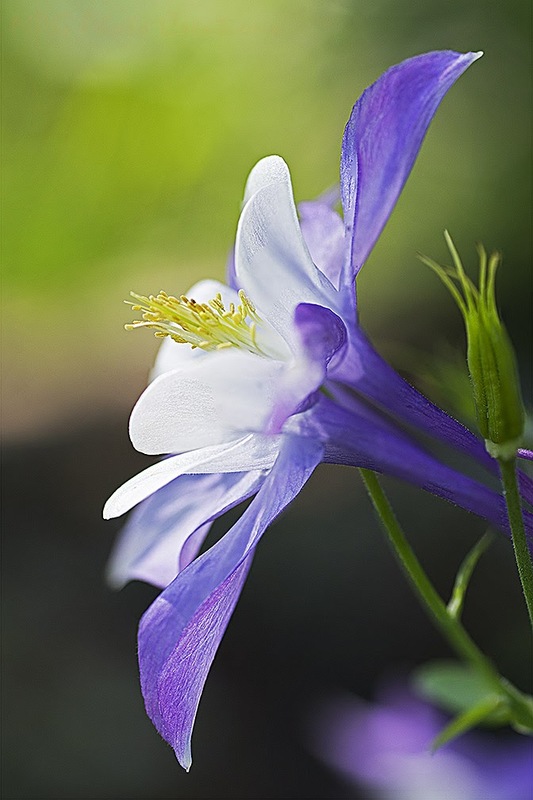 I love Columbine flowers but I have a hard time growing them to come back. Maybe it's the heat. I am trying this variety and a pink one in a different spot and hope they do better, if not I think I will give up. I do have another variety which has smaller heads and different color that is a more wild type that does very well. Anyway, it's blooming at the moment and looking quite lovely. 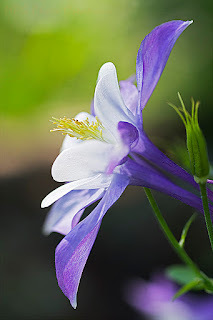 This is a macro shot of one of the blooms.